These days, more and more folks are choosing to ditch their front derailleurs for the simplicity and light weight of a one-by setup, whether it’s a tired old 1×8 or a fancy new 11-speed. The only drawback is possibly losing your chain in gnarly sections of trail. Sure, a new Shadow Plus or Type 2 rear derailleur will help, but the only way to keep it on there for sure is with a chain retention device. 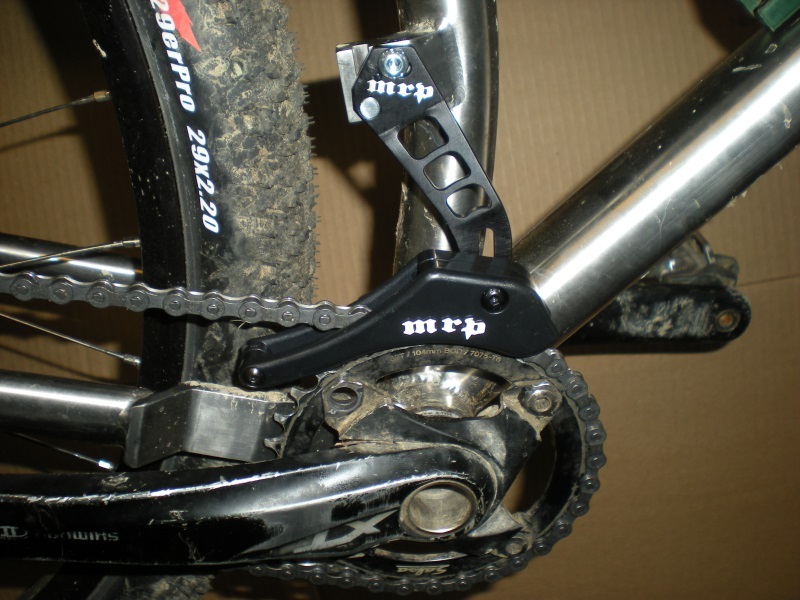 With the 420’s welded-on high direct mount, you can use a front derailleur with no issues. 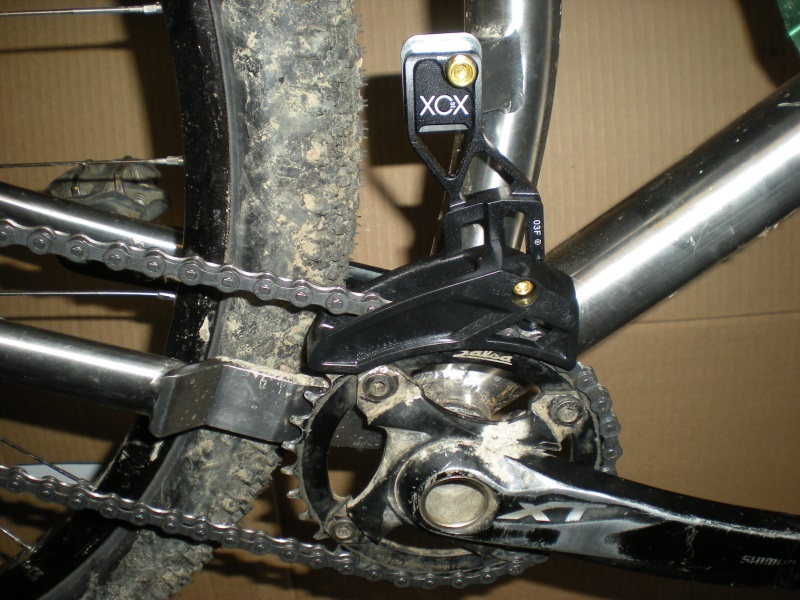 However, if you’re looking to forgo that derailleur, you’ll be left with the vacant mount. While it won’t interfere with anything, it’s not quite “beautiful.” So, it’s only natural to kill two birds with one stone…dress up that naked mount and keep your chain on for good! Enter the e.13 XCX D Type Chain Guide, a flashy and almost infinitely adjustable guide which will bolt right on to your 420’s mounting plate. This guide is intricately machined to allow for a vast amount of positioning, and comes with an assortment of shims to ensure a perfect chainline. Additionally, the polycarbonate cage can slide open for quick installation without having to remove your chain! MRP also has a lovely offering, the 1x D-Mount, which is also fully compatible with the 420. With these options, it’s easy to swap to a 1x setup and leave your frame looking as clean as possible. All while virtually guaranteeing that you won’t be stuck fumbling with your chain in the middle of your favorite descent! If you’re already sold on 1x and would like one of these fine mounts to be included with your new 420, just let us know.